Standing in the frigid shadows of a superpower is never easy, but Canadians make it look so. Of course, part of the reason may be because they’re bigger than we are (barely) and consider themselves part of a worldwide commonwealth, but who knows. In any case, and despite our miniscule population (about a tenth of that of the U.S.) a few of them have gone on to become quite famous. So who are these renowned Canadians of whom I speak so glibly? While determining who among the citizenry of our neighbors to our north deserve to make this list is an exercise in subjectivity (and probably futility) there are a few that stand out above the rest. While entertainers comprise the bulk of this list, I’ve tried to expand it to include a few names from outside of the entertainment industry as well. And so, without further ado, here is my list–in no particular order–of the top ten best known Canadians (at least in the United States). No way could a trekkie like myself leave Captain James T. Kirk of the Starship Enterprise off the list. Born in Montreal in 1931, “Bill,” as he likes to be called, came to Hollywood in the 1950s and soon made a name for himself appearing in Westerns, detective shows, and just about anything else he could land before finding himself in the captain’s chair. Though he never achieved super stardom status-except among Trekkies–he’s managed to find work in Hollywood for the better part of sixty years now, which is as big an accomplishment as going where no man has gone before. Cool fact: It turns out that early in his career, Shatner was fellow Canadian actor Christopher Plummer’s understudy. He later worked with the man in Star Trek VI: The Undiscovered Country with Plummer-now a Klingon–playing Kirk’s nemesis. The popular Edmonton-born Fox because best known for his role as Michael Keaton on Family Ties and, later, as Marty McFly in the hugely successful Back To The Future trilogy. Coming to Hollywood at the tender age of 18, he is the quintessential rags-to-riches story; in this case, an unknown and literally starving actor caught a few lucky breaks and became one of the most popular and well paid actors in Hollywood, practically overnight. Diagnosed with Parkinson’s in 1991, Fox was forced to semi-retire from acting in 2000, though he has continued to do voice-over work and take on minor roles ever since. He has also become an advocate for stem cell research in the hopes of finding a cure for Parkinson’s. Derived from photographs of Alexander Graham Bell facing and kissing Mabel Hubbard Gardiner Bell, who is standing in a tetrahedral kite, Baddeck, Nova Scotia. Okay, since he was born and raised in Scotland and didn’t move to Canada until he was in his twenties (along with the fact that he became a naturalized American citizen in 1882), he’s not technically a Canadian, but since he first began working on the telephone while living in Canada and lived there-on and off-until his death in 1922, should at least qualify him as a Canadian emigre who accomplished much. Though best known for the invention of the telephone (though the debate as to whether he stole the idea from competitor Elisha Gray, whom he beat to the patent office by mere hours, rages on), he was a prolific inventor with hundreds of patents to his credit and a wide range of interests. He had a hand in developing everything from airplanes and hydrofoils to hearing aids and metal detectors before his death. While the veteran game show host is not the most accomplished of Canadians–overseeing contestants trying to answer trivia questions for a half-hour hardly qualifies as a major achievement–it’s hard to argue that he’s not one of the best known Canadians in America. Coming across as something of a soft intellectual well-versed in foreign dialects (his French is flawless) and, on occasion, passable impressions, the genial host presents a sophistication that speaks well of all Canadians. Originally a news anchor and sportscaster (with a degree in philosophy no less) before coming to America in 1972, he has been going strong ever since, hosting a number of short-lived but moderately successful game shows before taking the Jeopardy gig in 1984 and running with it ever since. Now, if we could only get him to grow that moustache back. What could be more Canadian than hockey, and who was arguably the most famous and successful hockey player of all time besides Wayne Gretzky? 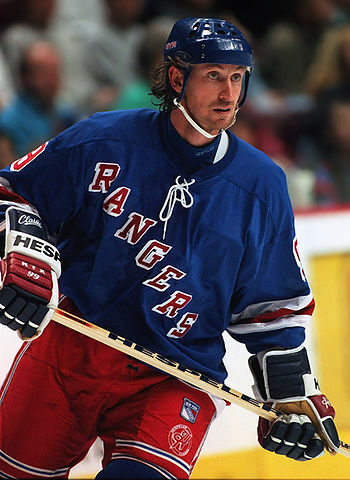 I know, I could have said Bobby Orr or Gordie Howe or Mario Lemieux (Canadians one and all) but Gretzky beats them all. How good was he? Well, he only holds forty regular-season records, fifteen playoff records, and six All-Star records, was the leading point-scorer in NHL history, as well as being the only NHL player to total over 200 points in one season–a feat he accomplished four times–and to tally over 100 points in 16 professional seasons, 14 of them consecutive. Other than that, he didn’t do much. 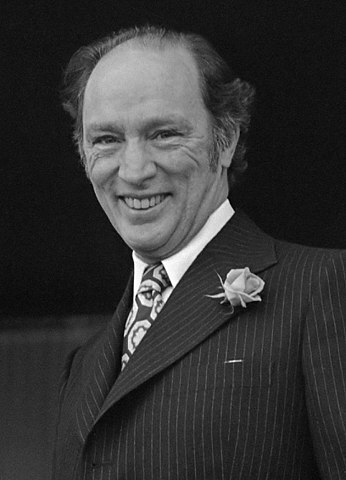 Most Americans rarely know the leader of their northern neighbor is (nor, the truth be told, do they care) but it could be argued if they remembered any of them, it would be Pierre Trudeau. This man somehow managed to hold onto the post of Prime Minister for an astonishing fifteen years, longer than any Prime Minister before or since. Something of an intellectual, he was both praised and vilified during his tenure. Lauded for preserving national unity against Quebec separatists, successfully suppressing a violent uprising, and establishing the Charter of Rights and Freedoms within Canada’s constitution, he was also criticized for being arrogant, a ham-handed economist, and a big-time federalist who believed in a big central government over the rights of the provinces to do their own thing. While probably not a household name in either the United States or Canadian, the Ontario-born economist was one of the leading intellectual driving forces behind much of our modern economic theories. Also, at 6’8″, he may also hold the record as being the tallest Canadian ever. A champion of the left for his advocacy of big government and central planning and one of the driving forces behind numerous government entitlement programs, it is hard to argue that without Galbraith’s influence, Canada would look quite a bit different today. Whether it would be better or worse is a matter for debate, but what can’t be debated is the effect the man had on this country and continues to have on it still, six years after his death. When the average person is asked to name the most famous directors, three names are usually mentioned: Steven Spielberg, George Lucas, and Canadian-born James Cameron, director of the blockbusters Terminator, Aliens, The Abyss, and the two top-grossing movies ever, Titanic and Avatar. Not bad for a college dropout and one-time truck driver who basically taught himself cinematography. Though he has lived in the United States since 1971, he remains a card-carrying Canadian. Not all about him is money and smooth sailing, however; married and divorced five times, Cameron has a reputation for being difficult to work with and somewhat cavalier when it comes to ensuring safe working conditions for his cast and crew. Toronto-born Neil Young is widely regarded as one of the most influential musicians of his generation. Young began performing as a solo artist in Canada in 1960, before moving to California in 1966, where he co-founded Buffalo Springfield before later joining Crosby, Stills & Nash as a fourth member in 1969. He also forged a successful and acclaimed solo career, beginning a career spanning over 50 years and 34 studio albums. Not that there hasn’t been lean times as well; during the eighties he practically vanished (this was his “experimental” decade) but by the nineties had reemerged. So how does a sixties-era Woodstock rocker manage to keep it going for better than half a century? By continually trying new things to prevent his music from becoming dated…and by smoking a lot of pot, one would imagine. Not only that, but in the short time she’s been out there she’s won five Grammy Awards and 27 BMI Songwriter awards. Only fellow Canadian singer Céline Dion is more popular in her native Canada, but that’s like comparing apples to oranges since Dion isn’t exactly known for her country music. Other famous Canadians: Jim Carrey, Sarah McLachlan, Joni Mitchell, k.d. Lang, Keanu Reeves, Peter Jennings, Pamela Anderson, Dan Akroyd, and Gordon Lightfoot. Not bad, eh? All I can say is …….. CONNOR MCDAVID!!!!!!!!!!!!!!!!! And no David Foster Wallace…interesting! How can you overlook the most handsome man on the PLANET???? Thomas Beaudoin!! Great actor too!